I do like gardens I’m not responsible for, this was the best! 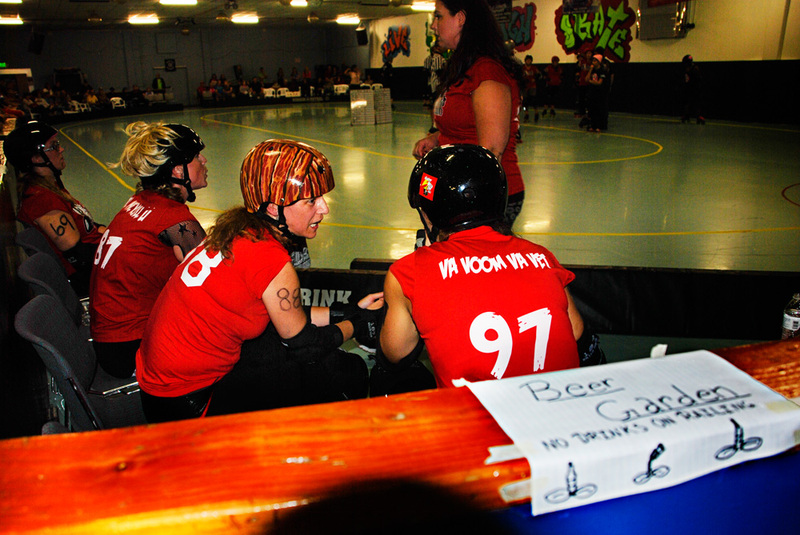 More soon from my fun date with Jan and Bill at the roller derby. The names alone are an inspiration, as is the wonderful attitude of the skaters. There’s a lot of intensity here. I like the way you got the feathers coming out of Katie Mae Kill U’s helmet. I’d never seen her wear those before. That is one interesting garden! Hope you all enjoyed it. Some of those Cherries look a tad over-ripe to me!